I mean it honestly when I say that I have more respect for the evil Rock 'N' Roll freak, highpriest in the Church of Satan and hater of God, Marilyn Manson (real name: Brian Warner), than I do for sellout imposters like TobyMac, Michael W. Smith and Third Day. At least Marilyn Manson tells everywhere where he stands. No one doubts his position on God, the Bible and Christianity... Marilyn Manson hates them all. Manson isn't trying to deceive anybody; he rips apart Bibles, curses God and makes it clear that he hates Christianity. In sharp contrast, TobyMac (real name: Toby McKeehan) claims to love God and wants to lead his fans to the Lord; but then praises the unsaved Pope, calling it “an honor” to be in the presence of the world's biggest false prophet! I have no respect for such a person! You'll NEVER hear a CCM singer warn their fans about false prophets or false doctrines. All they talk about is love and unity; but they avoid critical Biblical doctrines that would offend other religions, false religions. You'll NEVER hear one negative word from any CCM singer about the Pope or the Catholic religion. CCM compromisers, which is why I have NO respect for them, will claim that they are showing Christ's love. But the truth is that they are only showing that they DON'T love God, at all. They love money and themselves. Satan gets his one-world religion, CCM singers get rich, and CCM fans go to Hell fire and damnation forever. I can admire a man who says that he doesn't believe the Bible at all and calls it fables, more than I can a reprobate pastor who claims to believe the Bible while denying that the King James Bible is inspired. What a sellout! I have more respect for Marilyn Manson, because he doesn't deceive his fans. CCM deceives everyone, singing Satan's music in Jesus' name. When you claim that your goal is to break down denominational barriers and bring everyone together, you are fighting against the God of the Bible. God segregated mankind at Babel for man's own good (Acts 17:26-27). God NEVER tells any believer in the Bible to unite with unbelievers, false prophets or heathens. It was the self-righteous Pharisees who called Jesus a friend of sinners. Truly, Jesus is the greatest Friend that a sinner will ever have; but Jesus NEVER approved, partook nor condoned anyone's sins in the Bible. Hebrews 1:9 teaches that Jesus HATED iniquity. The Lord hasn't changed (Malachi 3:6). Revelation 3:16 says that God wants to VOMIT out of His mouth lukewarm believers. God wants us in or out, on or off, cold or hot. CCM tries to straddle-the-fence, disguising themselves as Christians; while singing, talking and behaving just like the unsaved world. 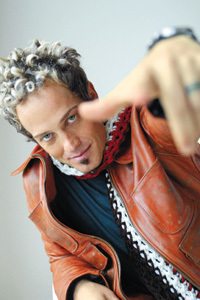 TobyMac is going on 46-years of age, still acting like a street teen in the ghetto. Grow up man! Anyone who can't see what is wrong with CCM is willingly ignorant and rebellious against the Lord, just as those who use corrupt Bibles and don't mind that an open homosexual chaired the Old Testament translating committee on the New International Version [NIV]. Is it any wonder why the word “sodomite” has been completely removed from the NIV? And yet it is the most popular Bible in America today. It is sad and makes God want to go vomit!!! 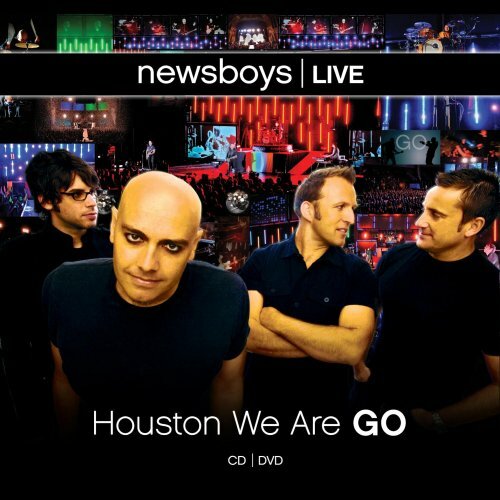 Now I haven't found anything saying that the Newsboys CCM rock band are homosexuals, but the following album cover gives me the creeps the way these two band members are goo goo eyeing each other. They sure look gay! Can you tell me honestly that these guys don't look gay? Men don't goo goo each other like that! There are many closet homosexuals being introduced into the CCM scene today. It's just a matter of time until they start coming out of the closet, and full-force into our churches! If you give the Devil an inch, then he'll take a foot. CCM gives the Devil a foot, and so he takes a yard. Satan will always take you farther than you intended to go! As the world becomes more wicked, professed Christians are following the world afar off. As the world becomes more wicked, so do churches follow closely behind, becoming worse and worse. Should it be surprising that pastors don't preach against sin anymore, nor eternal punishment in Hell, nor the coming judgment upon America by an angry God? There is no debating that Christian rockers are following the world. Those who truly follow Jesus are following the Scriptures. God doesn't want His children to straddle-the-fence between the world and living for God. The Church ought not be following the world. That is what tobyMac is doing. His music is of the Devil. His concerts are worldly. The young people are praising him, not Jesus Christ. Tragically, any Catholic can attend a tobyMac concert and feel right at home, even though they're headed for the Lake of Fire without Christ. Does tobyMac care about what God thinks? If he did he wouldn't praise the Pope? If he did, the Biblical gospel would be posted on his website. I mean, how can a professed Christian who claims to have a desire to reach young people for God, not even share the gospel of Jesus Christ on his website? The lame excuse is that Toby's music shares the Gospel. What a joke! Toby's shizzle frizzle, hobble bobble, yo yo your mama goofy lyrics, aren't getting anybody saved. It is a mockery of the holy things of God. Kids today have the worst role models imaginable. They want to Rock 'N' Roll in Jesus' name. It's very sad. I expose these imposters because they claim to be Christians, having influence over millions of young people; while leading them astray into worldliness, and praising the biggest false prophet in the world—the Pope. Jesus said in Matthew 12:36, “But I say unto you, That EVERY IDLE WORD that men shall speak, they shall give account thereof in the day of judgment.” TobyMac will give account to God one day for corrupting millions of teenagers, leading them into worldliness and a false social gospel. The Antichrist is soon coming and the Devil is trying to unite the world. This is the main message of the New World Order... diversity and unity at all costs. The Bible commands us to divide over truth; rather than to be united by error. The Word of God stands alone against the world. As a born-again Christian who loves Jesus Christ, I am as narrow-minded as the Bible. I am on God's side, and thus, He is on my side. I tell you that so-called Christian Hip Hop is demonic! It glorifies Satan, not God. Here's a pathetic video of tobyMac's heathen music . . .
How can anyone dare call this worldliness of God? Biblical Christianity is INTOLERANT of Catholicism, and all other corrupt religions which pervert the simplicity that is in Jesus Christ (2nd Corinthians 11:3-4). Whereas the masses of this wicked world today are praising wicked entertainers, there are still a handful of faithful Bible-believing, Christ-honoring, sin-hating, loyal Christians who fear God and refuse to follow the world. Christian Rock is extremely dangerous, because it claims to be Christian. Please do not be deceived. It is offensive to me, that anyone would refer to Jesus as a freak. We are living in apostate times when anything goes in the religious world. As churches are becoming more worldly, so is the world becoming more churchy. Everything from abortion to homosexuality are being allowed in churches today. Christians ought not feel at home in this sin-cursed world. Revelation 3:16 says that God vomits out lukewarm believers. America has forsaken the God of the Bible. The term “Christian” is the most widely misused word in the world. Even Adolf Hitler professed to be a Christian. Anyone can claim to be a Christian, but a true believer is known by his fruit. THE TRUTH has few friends these days. The man of God stands alone. John the Baptist stood alone out in the wilderness, just as I stand alone in cyberspace. I'm speaking out against the worldly music that CCM artists sing in Jesus' name, that is no different than the demonic Rock 'N' Roll which the world sings. No mainstream CCM artist publishes the Gospel on their website, because it would hurt their popularity. 2nd Timothy 3:12 says they who “live godly in Christ Jesus shall suffer persecution.” TobyMac is praised by his fans, because he is worldly. God doesn't get the praise, the singer does. To be saved, a person MUST acknowledge their guilt of sin to God. Asking Jesus into one's heart is not the Gospel. That terminology is not used in the Bible. The Bible tells us to BELIEVE ON THE LORD JESUS CHRIST (Acts 16:31). I hear a lot of people saying they prayed a prayer to get saved, but prayer is not the Gospel. One woman said she was saved at a very young age because she “prayed the Jesus prayer.” The Jesus prayer? There is no such thing. You can ask Jesus into your heart, pray and commit your life to God and still go to Hell when you die. You had better come to God as a dirty, rotten, guilty, hell-deserving sinner; believing on the Lord Jesus as the Christ, the Son of God, to be forgiven of your sins (Acts 10:43; 16:31). Judas was a follower of Jesus and still went to Hell. Many people asked Jesus to heal them and still went to Hell. You had better come as a SINNER and believe on the SAVIOR.